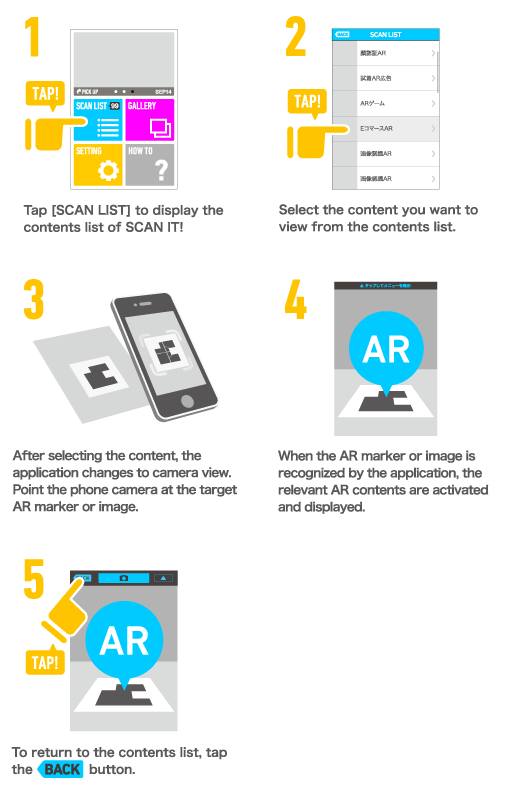 ※ If the AR marker or the target image of recognition, will not be displayed by holding the iPhone, please try to parallel the iPhone to be recognized as much as possible. 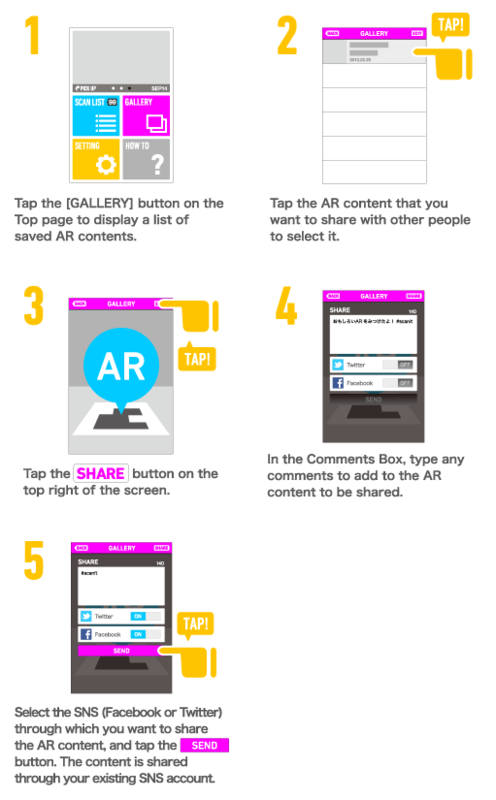 ※ If there are strong light, such as sunshine or sunlight, or in a dark place, AR content is not displayed. At that time, please try again to change the location. 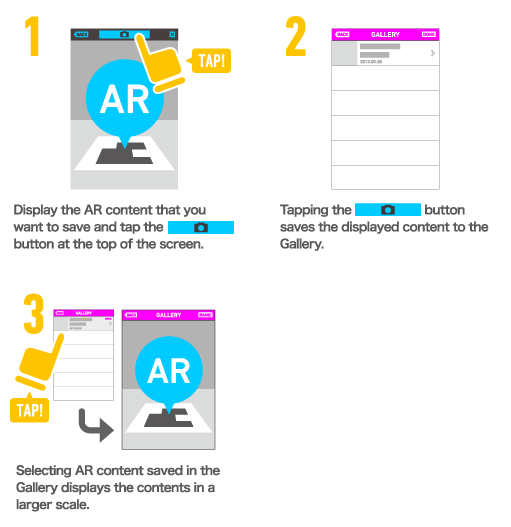 ※ By the telecommunications environment, it may take time to download the AR content. ※ Wifi (Wireless LAN) environment is recommended. Of course, you can use it in 3G environment. ※ If you freeze, press the home button once to exit SCAN IT, and press the home button twice to shut down the app completely. ※ SCAN IT is recommended to enjoy in the latest version iOS. When you update the OS, please perform a backup the data. ※ To use Share function, you will need to get your account from the SETTING menu in the TOP page.